As fans look forward to a bumper summer, with the Cricket World Cup and an eagerly anticipated Ashes series, cricket will rarely have had so much exposure. There are comprehensive Test match and limited-overs records and career records to help you follow the action, as well as series records against Australia. For the first time, England will also play Ireland in Test match cricket. 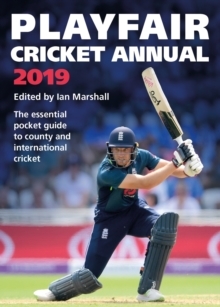 County cricket is covered in unrivalled depth, with biographies of all players registered to the counties at the start of the season, full coverage of last summer's events and a fixture list for all major domestic matches in 2019. 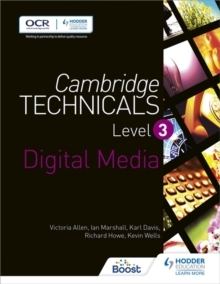 There are also sections on Ireland's cricketers, women's cricket, the major domestic T20 competitions from around the world, while the Editorial assesses the looming arrival of The Hundred in 2020. 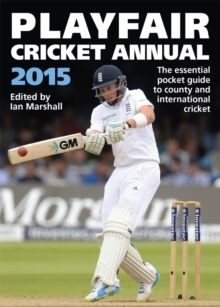 For any cricket fan, the season is never complete without a copy of Playfair to guide you through it all.